The former Richmond, VA pop punks now call Los Angeles home, released their new album ‘Paradise’ on the 16th June. Now the band are touring the UK with the UK’s own Trashboat and Homebound. Second in support tonight for Trashboat, Broadside intently got the crowd on their feet and dancing with their opening song ‘Hidden Colors’. This continued to be a high energy and dynamic set from the band as they ran through their other fan favourite tracks ‘Storyteller’, ‘Puzzle Pieces’, ‘Playing in Traffic’, 'Laps Around A Picture Frame’, ‘Paradise’ and finishing off their set with ‘Coffee Talk’. This was a set filled to the brim with crowd surfing and screaming at the top of your lungs sing alongs. 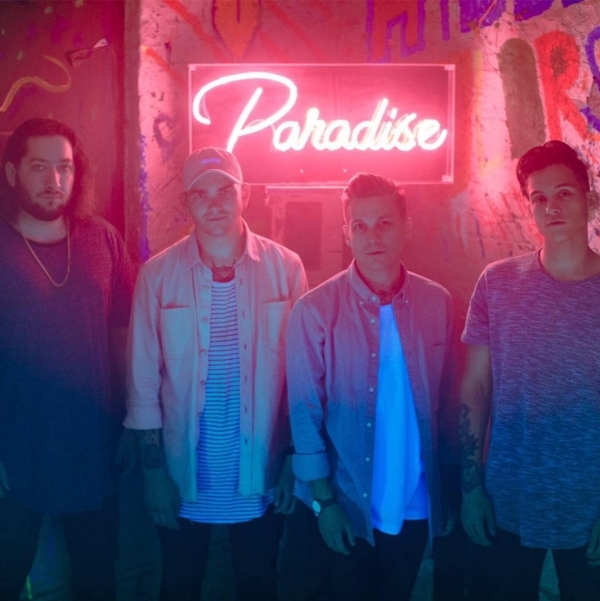 Tonight Broadside shows just how much of an outstanding live band they are, with the audience's reaction, this show could have been mistaken for a Broadside headlining gig at the Camden Underworld. It most definitely won’t be long until Broadside are selling out shows of this size and larger in London!